So what is EFC? EFC stands for “Expected Family Contribution” and is the term used by the Federal Government and colleges to state how much parents are expected to pay for their child’s college education. Your EFC appears on your Student Aid Report(SAR) which you receive by submitting the FAFSA form. FAFSA stands for the “Free Application for Federal Student Aid” which students must submit to qualify for any federal financial aid and many state financial aid programs. Whether or not you think your student will qualify for financial aid, there are good reasons to complete the FAFSA anyway. Submit FAFSA – get EFC. With me so far? Colleges use your EFC to determine how much financial aid to award you. Let’s go over what this means in the ideal world first. Assume that your EFC is $15,000. (This probably isn’t going to be a realistic number for most families but more on that later.) Each school has a COA, Cost of Attendance, which includes tuition, fees, and room and board. Your financial need would be COA-EFC. Based on the $15,000 EFC, a college that costs $50,000 a year should provide a financial aid package of $35,000 while one that costs $20,000 would only provide $5,000. This is why counselors, admission officers, and teachers are constantly telling students to apply to colleges regardless of their sticker price. In the ideal world, the financial award from the college would cover the calculated need. Theoretically, the student’s cost would be the EFC and this amount would be the same regardless of the school he decides to attend. It should cost the same for the student to attend a school that costs $20,000 or one that costs $50,000. Now let’s go over what actually happens in the real world. In the real world, the amount of aid that a school can provide depends on its endowment, tuition, and institutional priorities. In general, private institutions have much larger endowments than public institutions. They also use their higher tuition to provide more scholarships and grants. This is why they can offer more financial aid than public universities. But there can be significant variation even among public schools within a state which can make a big difference in how much you pay for college. Consider the differences between the six public universities in Texas as seen in the following table. According to the Common Data Set, the percent of freshman with demonstrated financial need ranges from 39.9% to a 74.1%. However, only a quarter, at most, had their need fully meet. This could have something to do with the schools’ endowments. Yet, freshman at UT Dallas were almost as likely to have their full need met as those at Texas A&M even though they have dramatically different endowments per student. You would think that maybe if fewer freshman had financial need, a school would be more likely to meet their need. But UT Austin had a third fewer freshman with need than Texas A&M and only 21.5 of UT Austin freshman had their need fully met compared to 25.3% at Texas A&M. The point is that none of the schools meet 100% of need. The reality is that the most freshman at these colleges, and at most colleges in general, will not have their need fully met. Your EFC can make even more of a difference at private schools. If your EFC is $15,000, the $50,000 private school should provide you with $35,000 in financial aid. Too good to be true you say? Well, it is for some people and not for others. What am I talking about? There are schools that state they will guarantee to meet all demonstrated financial need. The tricky part is in how they meet the need and how they define the need. First, how they meet the need. Until recently, many schools met the need with some sort of combination of student loans and grants. 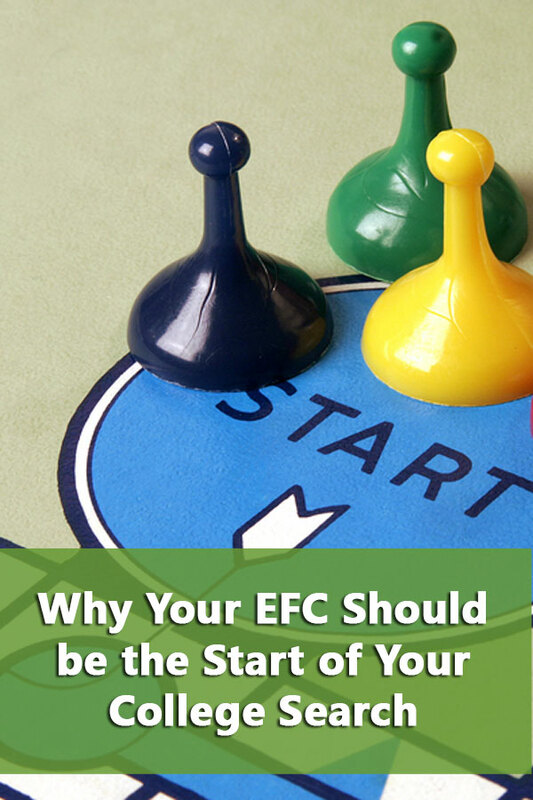 If your need was $35,000, you might get a $20,000 loan and a $15,000 grant which would still leave your family coming up with $15,000 EFC on your own. Families often had to get loans to meet their EFC which made for some very serious debt for both the parents and the students. What happened is that colleges with large endowments were being criticized by Congress for not spending as much from their endowment as other non-profits. These schools soon announced that all financial need would be met without any loans. Great news for those who got accepted into the Ivy Leagues or some of the most selective schools in the country. In general, all private schools made more of an effort to meet financial need without loans to the degree their financial situations allowed. Unfortunately, the reality is that loans are still make up a significant component of most students’ financial aid awards. Now we get to the definition of “need” part. The schools are in no way obligated to accept the government’s definition of your need. They can use their own Institutional Methodology (IM) to calculate financial need instead of the Federal Methodology (FM) used by the FAFSA. Therefore, the EFC the college calculates may share little resemblance to the EFC you received in your SAR. Many schools request additional financial information from students, including taxes and bank statements, before awarding financial aid. An increasing number of schools require students to complete the CSS PROFILE, a financial application from the College Board which requires much more information than the FAFSA. Oh, and you have to pay the College Board $25 to submit the form and then another $16 per school. The school using its own Institution Methodology (IM) could decide that your EFC isn’t the $15,000 calculated by the Federal Methodology (FM) but $25,000 based on their calculations. However, you could also have a much lower EFC at a PROFILE school because of the other information they consider. In any case, you’ll also probably have to ask for the EFC since schools that use the PROFILE don’t have an equivalent of the SAR. Other schools may not change your EFC, they just don’t provide enough aid to meet the demonstrated need as seen in the University of Texas example. This is called “gapping” which some schools do more than others. Most schools are also not “need blind.” This means that as the admission’s office gets closer to filling its class while starting to run low on financial aid funds, they are going to consider an applicant’s ability to pay tuition in their decision to admit. If a student can’t afford to attend the school without financial aid and there’s no more aid to be given, it makes sense for the school to admit someone who can pay full price. Don’t get totally disgusted with the process and decide you would have better luck playing the lottery. Next week in Part 2, you’ll see how there is still plenty you can do to reduce your college tuition bill. Start creating your own college list using the DIY College Rankings spreadsheet.